I haven’t been blogging lately, but I have been enjoying being back home in Montana. 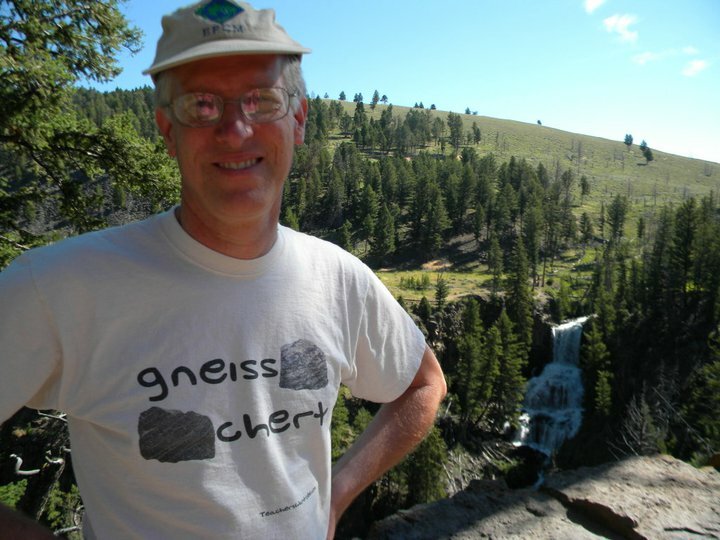 Here I am with my “Gneiss Chert” t-shirt that I got for my birthday a few months ago. The waterfall is Undine Falls in northern Yellowstone National Park.